Weleda Organic Rose Deodorant Spray with precious and sensual perfume of Damas Rose with Ylang Ylang essential oil prevents and eliminates unpleasant body odors. The natural formula of Weleda Rose Deodorant has no aluminum salt, thus it preserves the natural functions of skin elimination. L'odeur est assez présente, il faut aimer la rose... ça tombe bien j'adore ! Bonne efficacité, très content de mon achat. 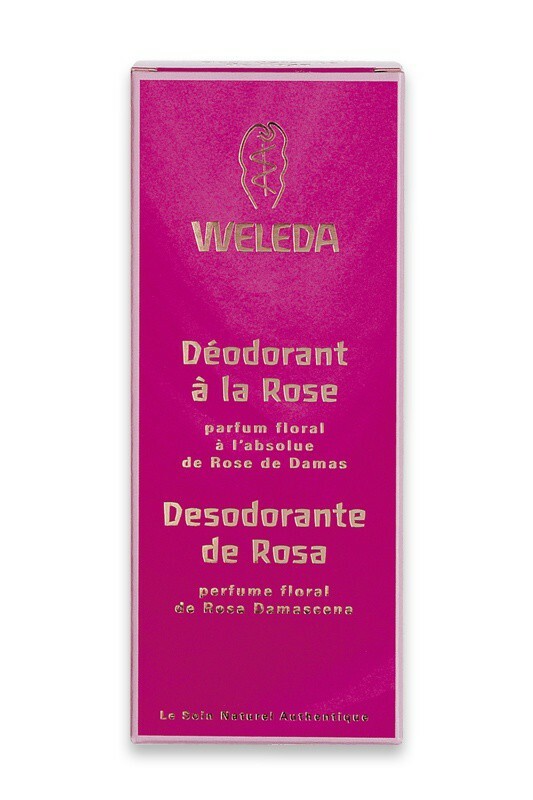 INSTANT WELL-BEING WITH WELEDA ROSE DEODORANT ! 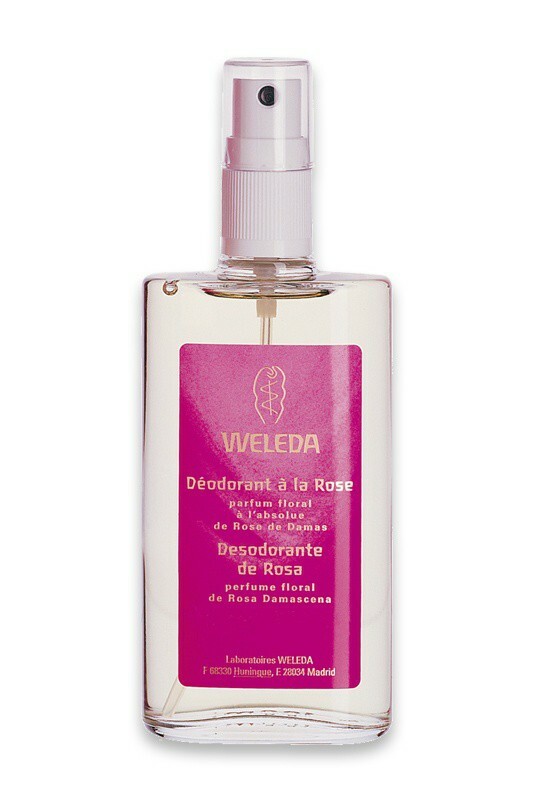 Apply Weleda Rose Deodorant as often as needed throughout the day. Avoid using after hair removal. Do not apply in direction of the eyes or mucous membranes. Je n'ai vraiment pas aime l'odeur. Je ne l'utiliserai donc pas, dommage!